Is Data Hosting right for you? One of the most consistent and frustrating costs of running a business is the need to maintain reliable computers in your office. This is especially true with your server. It has to work at peak efficiency to maintain the proper communication for your networked data. 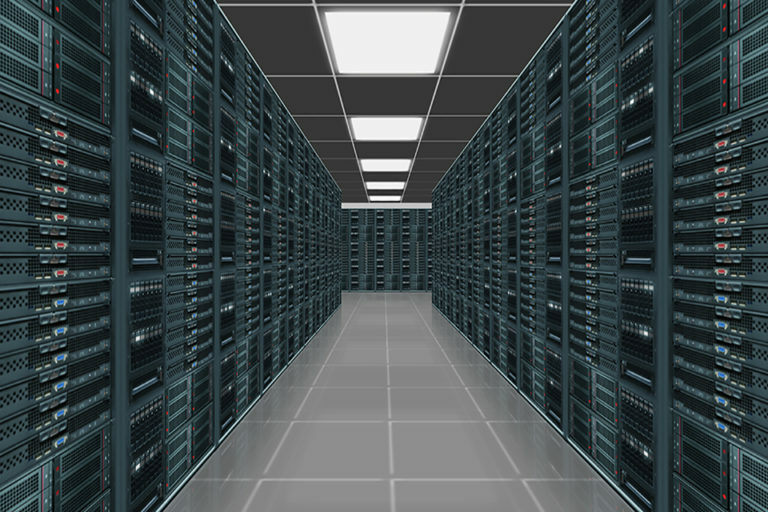 Servers require larger upfront costs to purchase, installation fees, and ongoing maintenance. If the server stops working on a network system, so does your Medisoft. Paragon Medical Technology is proud to offer a powerful and simple solution to this concern: data hosting. The process is very simple and we take care of all the work for you. The data is stored on our servers, freeing you from the expense and maintenance. Then you simply connect to it from your office using our secured internet connection. That's it. You gain the ability to access your Medisoft data, schedule, and any hosted products from anywhere you have a reliable internet connection. That alone is all many offices need to make it worth their while. You still own your Medisoft. You still own your data. What we do is take the burden of the server hardware off your shoulders. We take care of the access licenses needed for your office, which may save you hundreds or thousands of dollars. You only pay a single monthly bill to cover the connection fee to the data. This fee is priced per user, meaning you only need to purchase as many connections as you would have simultaneous users. An office of five, for example, could have as few as one connection if only one person was using Medisoft or a connected product at any given time. Daily backups, stored offsite, exceeding HIPAA requirements. The latest releases of service packs, including installation, to keep your applications running in optimal condition. Up to date virus protection. Outsourcing the management of a network infrastructure may reduce total cost of ownership. Access to applications for remote offices and mobile workforce without a wide area network. Free up the time of in-house staff by reducing application administrative tasks. Some budgets handle a monthly fee better as opposed to a larger up-front purchase cost to build infrastructure. Connect two offices together without large WAN costs. We pride ourselves on dealing relationally with our customers. We will take ownership of any support issue you would experience and resolve it to completion. Security, 128 bit Encryption and Firewalls. No Advantage licenses for Medisoft need to be purchased. We can host other applications besides Medisoft such as Microsoft Office, etc. We can support any size organization. More and more offices are taking advantage of the ability to access their Medisoft and schedules from anywhere in the world with an internet connection. They decrease their own costs and maintenance worries while improving efficiency and data reliability. Interested? Let us show you how we can take your busy office to the next level. System Requirements- Windows XP SP3, Windows Vista SP1, or Windows 7 (or higher) and Internet Explorer. Macintosh Power PC, Mac OS X v10.2.8 or later. Some form of broadband Internet connectivity is recommended in order to get optimum performance and value from your Network Desktops. This could be ISDN, DSL, ADSL, IDSL or cable. -The installation and cost for these services, and any equipment associated with them, are not included as part of Paragon Data Hosting.